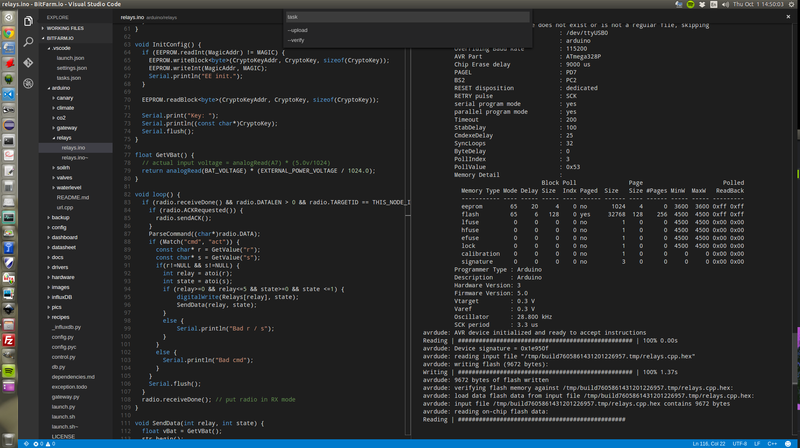 I started using Visual Studio Code for its nifty markdown editor recently. I also hacked it a bit so that it would let me edit, compile and upload arduino sketches 😉 Here’s the GitHub project. Startups, Health and Medical Marijuana. It’s been 2.5 years since my last post. Wow! Why such a long radio silence, you might ask? Well, it’s simple: from 2011 to 2014, I poured all of my energy into building and growing a business until it became clear that it was literally killing me from physical stress, burnout and depression. Never mind why; just know to never do business with friends. Ever. As I was trying to survive, writing personal blog posts was the last of my concerns, until today. As you read on, please keep in mind that this post is an opinion piece prompted by the desire to share a personal experience that, I hope, you will find interesting. I was prescribed anti-inflammatory medicine, physical therapy and a new workstation setup. However, the anti-inflammatory medicine was ineffective, making physical therapy a non-starter. When my doctor talked about surgery as a fallback plan, I wasn’t on-board with the idea: it felt premature and it had the potential of making things worse. Why open Pandora’s box when other options are available, as ‘unconventional’ as they may seem? Why not try cannabis for its anti-inflammatory properties instead? Living in Washington State, where medical and recreational marijuana are legal, getting a prescription for my condition was straight forward. And guess what? It worked! I finally experienced relief and began recovering. Even though the tendon damage is permanent, the pain was manageable. Being mindful about taking frequent breaks from the keyboard and avoiding heavy lifting as much as possible, I was on the mend, without surgery! Becoming a medical cannabis patient was a transformative experience for me: I went from thinking “Weed’s just for fun” to “Holy cow, cannabis is truly medicine!” to “Why is marijuana a Schedule 1 substance and why is anyone going to prison for it?”. There was one thing that was troubling me about using medical marijuana as medicine though: due to the lack of federal regulations applicable to marijuana cultivation, pesticide use is allowed by state law. In Washington State, commercial marijuana growers are allowed to use over 200 different kinds of chemicals as pesticides, some of which are proven to be toxic and should never be used to produce medicine. That’s when I decided to experiment with growing my own organic, pesticide-free medicine, legally and sustainably. To this end, I built a lab serving as a controlled environment, wrote some software, built some hardware and combined it all with various consumer appliances in order to automate the cultivation process as much as possible, sparing me a great deal of manual labor and pain. Three prototypes and four beautiful harvests later, The Humble Roots Project was born. I hope that The Humble Roots Project will inspire and help other medical cannabis patients to become self-sufficient. It’s the least that I can do to give back and support a cause that I deeply care about. Last week, we released a new line of products supporting the Raspberry Pi and we’re super excited about it! Amazing, isn’t it? We think so too. The Raspberry Pi is an actual computer, capable of running an Operating System, may it be Linux, Unix, RISC OS, Plan 9 or yet something else altogether. Some folks even run emulated PDP-11 and IBM mainframes on it, just because they can :). 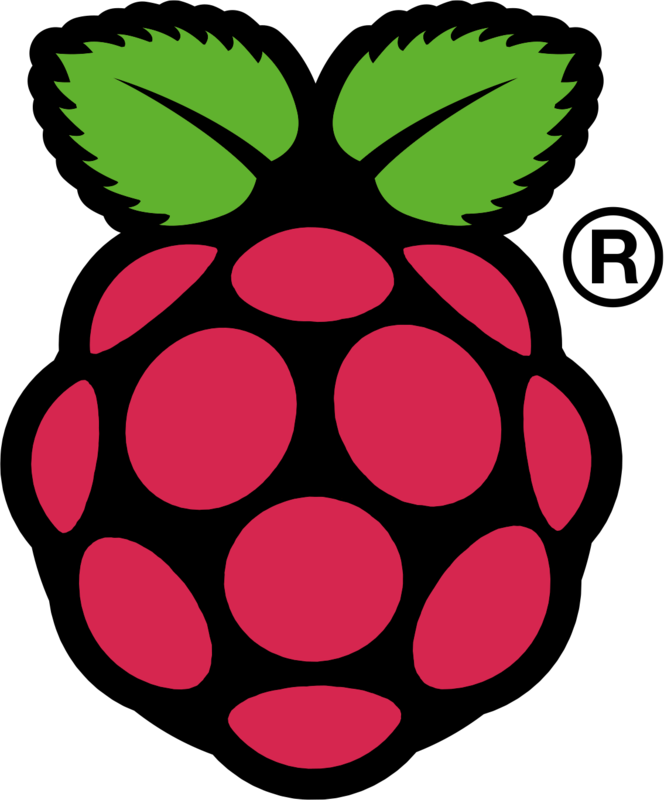 But the best part about the Raspberry Pi is the huge community of users and ‘Friends of Pi’ who have rallied around it, who support it, who contribute daily fixes. Above all, what sets the Raspberry Pi apart, is the commitment of the Raspberry Pi Foundation to educate and empower kids about what computing can be about: a tool for creating, not just consuming content, a tool for shaping ideas, one line of code at a time, one shell command at a time. Hopefully, it will be a tool for making the world a more open and better place. In many ways, the effervescent energy level around the Raspberry Pi reminds me of the early days of Arduino and it feels great to be a small part of it and contributing to it. One of my personal projects for the Raspberry Pi involves building and automating a small hydroponic herb and vegetable green house for my wife and documenting every step of the process along the way. 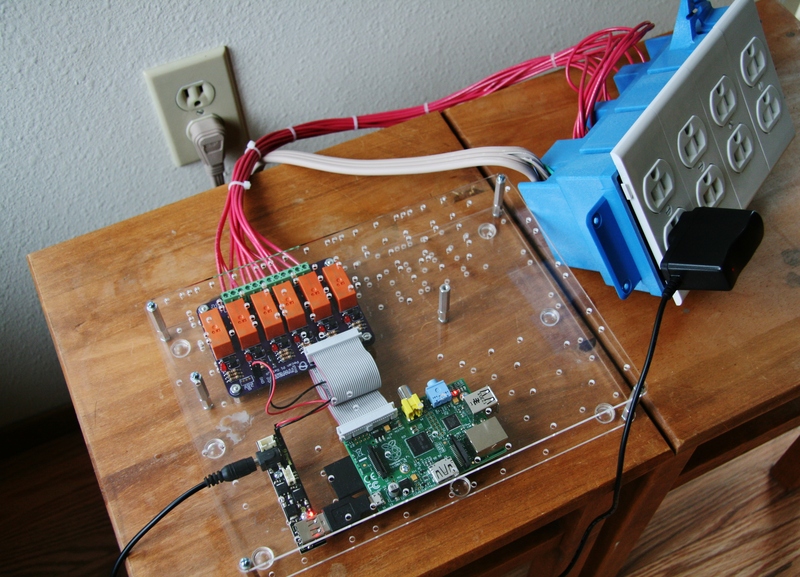 Here’s the very first piece of it, composed of a Raspberry Pi, a Nwazet Pi power supply, a prototype Nwazet relay board (6 x 16 Amp relays), a custom gang of 6 independent outlets and two always-on outlets. I’ll describe the project and this specific piece in details next time. In this video, I demonstrate how to build a simple breakout board to connect a Go! 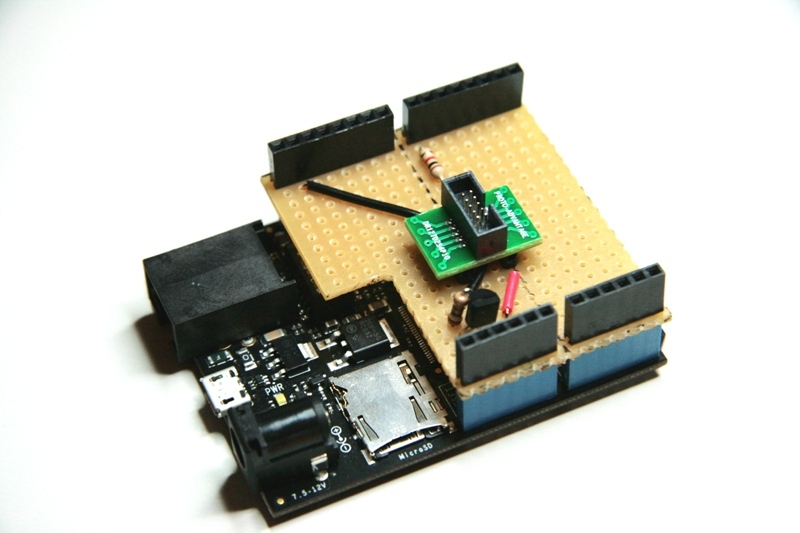 module to an FTDI ‘USB to Serial’ breakout board for the purpose of updating the module’s firmware. The application used to download the firmware to the module is provided by ST Microelectronics. 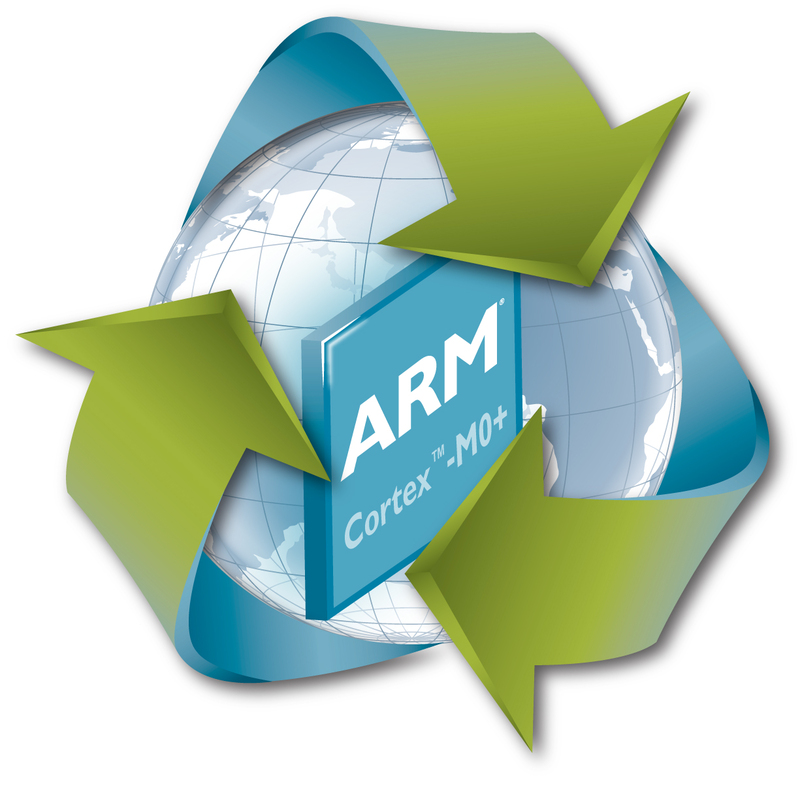 This method has been tested with ARM Cortex Mx and STM8S chips and works very reliably. Nwazet Data Acquisition Module for Netduino Go! 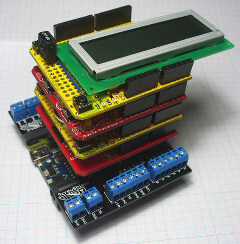 Our Nwazet Data Acquisition module (DAQ for short) is designed for Netduino Go! users looking for a simple, cost-effective platform for integrating analog and digital I/Os, off-the-shelf I2C sensors, time tracking, SDHC storage (up to 16GB) and serial communications to their projects. When we set out to design the DAQ module 5 months ago, we put a great deal of thought into the real-world scenarios shared by our customers when Netduino Go! launched and how many wanted to apply the power of the .Net Micro Framework in the context of rapid system prototyping, light industrial control systems, home automation, hydroponic growing systems, security systems, UAVs, robots and of course, Internet-connected devices. The first design choice we made was to choose an extremely robust spring-loaded wire connection system, providing power, data and ground on every port where they’re needed. On ports that are 5v and 3.3v tolerant, both power types are available. Because each wire is held securely in its place with strong springs that can only be released by applying pressure with a very small screwdriver, communications are more reliable and power to sensors and analog devices is more stable than in conventional systems using female pin headers. In addition, our spring-loaded wiring system enabled us to design a smaller and lighter board than would have been possible with screw connectors. Our second design choice was to enable our customers to leverage the large array of existing I2C-compliant sensors on the market today without having to wait long development cycles for similar Go! modules to be brought to market. To this end, we have partnered with Adafruit to provide a variety of useful I2C sensors that work ‘out-of-the-box’ with our DAQ module in order to help you get started quickly with your designs. We are also committed to developing a comprehensive driver library for popular sensors from Adafruit and other vendors over time. Our third design choice was to place user-controllable status LEDs on each I/O port of the DAQ module, allowing for a simple and effective method of providing user feedback from an application at no additional cost and without consuming the DAQ’s digital I/Os for that purpose alone. We also embedded extensive sub-system diagnostics into the DAQ, available on-demand, in plain English through the serial port to help with troubleshooting issues in the field as well as easing the development of custom application drivers. Our final design choice was to provide a complete, easy to hack system, with SDHC storage, a real-time clock, optional external power, and above all, capable of being used as a stand-alone 48Mhz ARM-Cortex M0 micro-controller programmable in C/C++ using a standard 0.1″ JTAG/SWD pin header. In fact, an STM32F051 Discovery board, costing less than $10, was used for its embedded STLink/V2 interface throughout the entire development of the DAQ module firmware. 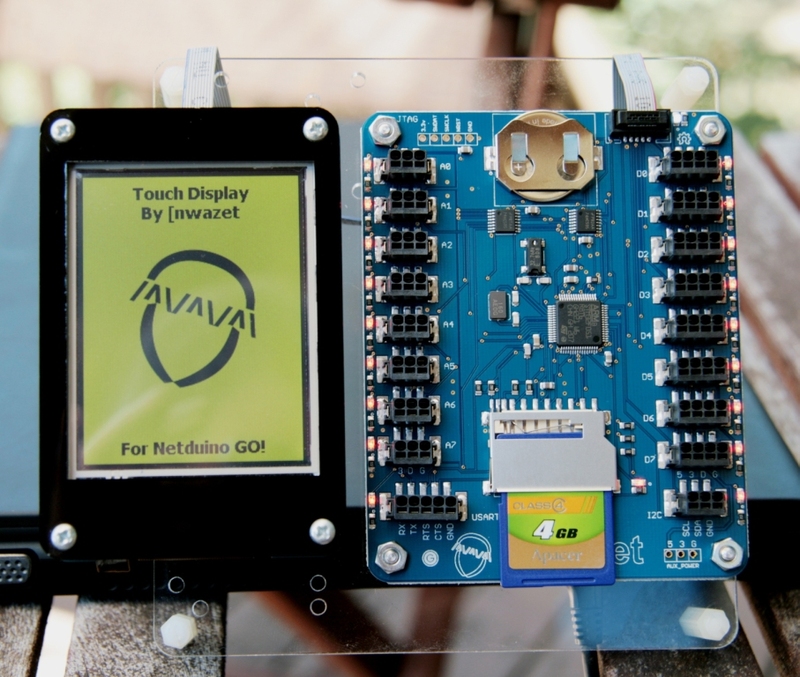 We believe that you’ll find this module extremely useful in unlocking the full potential of Netduino Go! and building amazing applications right now. We also have a feature road map for the DAQ module and you can expect to see more smart functions, performance improvements and your very own feedback embedded in upcoming versions of the firmware. Last but not least, the DAQ module will be ready to leverage Go!Bus protocol advancements when the time comes. You can find in-depth specifications about the Nwazet DAQ module on our site. 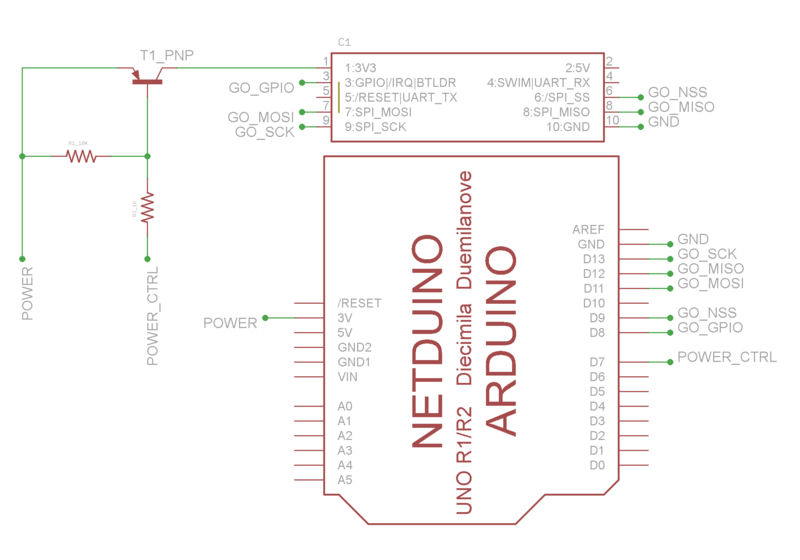 The second article of the series that I’m writing about using Arduino Shields on the Netduino was just posted. 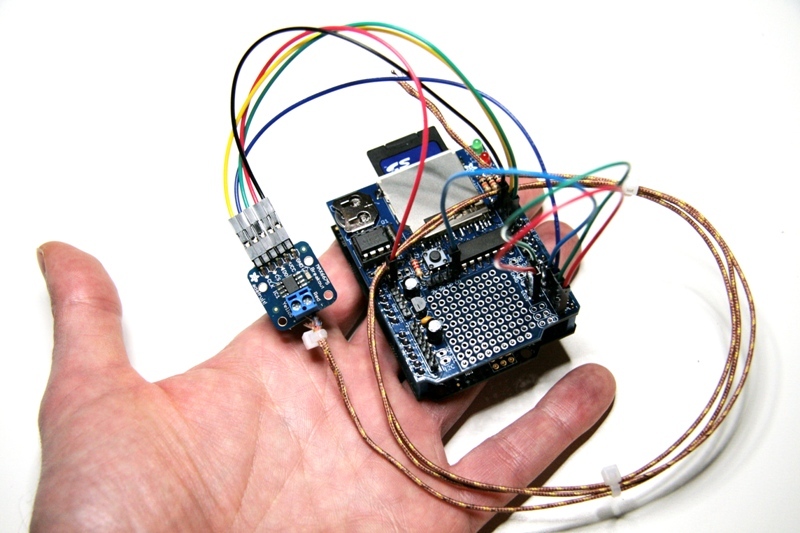 In it, I took an AdaFruit Arduino Logger Shield and walked through the process of making it work with a Netduino / Plus. The code coming with the article provides ‘out of the box’ functionality for the device and can be easily customized to record any kind of data.